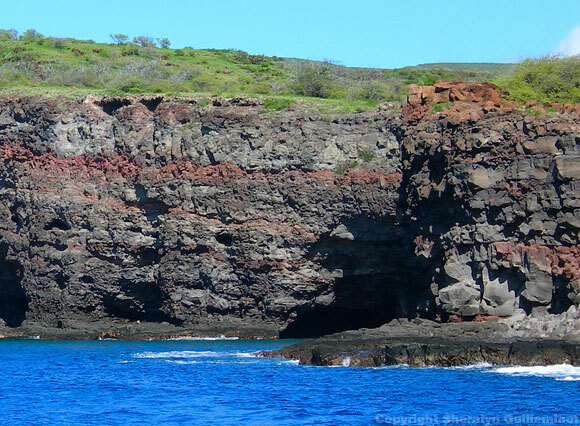 The Island of Lanai is just a short boat ride from Maui, and the perfect destination for a day trip! One of the best things about this trip is the fact that you have decent odds of seeing wild dolphins in the channel between the 2 islands. And of course, there's that snorkeling we signed up for! I've never been more filled with excitement on a boat as I was on this one! It was one of those low-lying raft style boats and it gives you such a rush as you zip across the water! You really feel the speed of the boat when you're in a raft, and you get a good appreciation for the true height of the waves, some of which were easily about 4 feet high on this trip. Do you see that low rocky point jutting out in front of the cliffs? Our boat took us in behind that point to the small cove carved into the towering rock-face. I really loved this snorkel spot! The water was much deeper here compared to other places we had snorkeled so far, but that in no way took away from the experience. If anything, it was kind of nice not to have to worry about rubbing up against the coral. There were tons of fish to be seen down there, and our guide even saw an eel hiding amongst the rocks down there! The eel sighting freaked me out a bit - I found myself warily snorkeling around while trying to keep one eye on the eel. Fortunately, I soon realized the eel seemed quite content in its rocky hideaway and therefore was not likely to cause us any harm! Whew! After we'd had our fill of snorkeling here, we all re-boarded the boat - our next stop was a small harbour at Manele Bay on the Island of Lanai, from which we could walk to a great spot for snorkeling directly from shore. 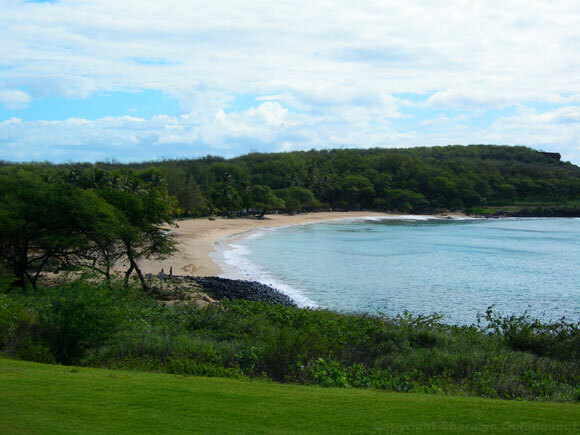 After a short walk, we came to our next snorkel spot: the beautiful beach at Hulopo‘e Bay, located in front of the luxurious Four Seasons Resort Manele Bay Hotel. After settling in at one of the many picnic tables scattered along the tree-line, we decided to check out the tide pools at the far end of the beach. Tackling the slippery rocks to get in was totally worth the effort because once we got into the tide pools, we found them to be full of fish! These pools were so full of fish that they actually brushed up against us as we snorkeled here! VERY COOL! Once we'd had our fill of the tide pools, we proceeded back to the beach where we could snorkel over the coral reefs just a short distance from shore. Hulopo‘e Bay proved to be a great snorkel spot - with such a large area of calm waters to explore, we were never bored as we snorkeled all along the beach and reefs. 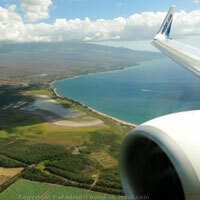 Why on earth were we so happy to leave Hulopo‘e Bay and the Island of Lanai? 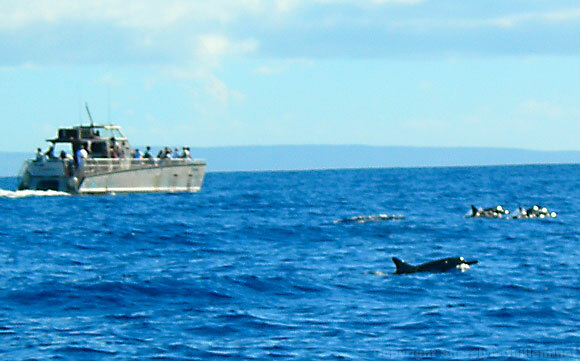 Because on the return trip to Maui our boat captain was going to take us on a search for dolphins and whales! And WOW, did we ever have the most amazing luck with this! 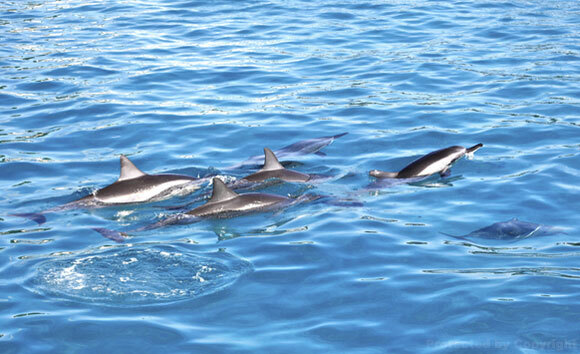 At one point, our boat was literally surrounded by a huge number of dolphins - they were so close to the boat that I could have reached out and touched them! I was grinning from ear to ear as my heart pounded madly with glee! 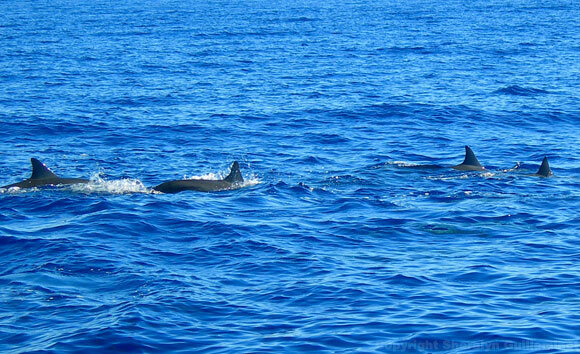 Can you believe that these wild dolphins would actually swim of their own free will so close to our boat?!? It was incredible! I was so excited by this that I forgot to take pictures, and I've regretted it ever since. I mean honestly, those dolphins were RIGHT THERE... right in front of my nose, and I didn't take a single picture of that moment. Once again, our raft-style boat lying so low in the water proved to be a huge advantage, as we never would have been able to see the dolphins so closely if we were way up high in a catamaran! 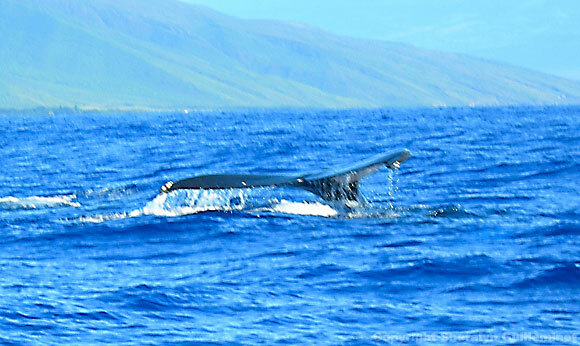 Our trip to the Island of Lanai was scheduled to last about 6 hours, but we were having such great luck with our dolphin and whale sightings, that our boat captain extended our trip by an extra hour for free! He seemed to be enjoying the dolphin and whale sightings as much as we were! All I can say is that seeing dolphins in captivity at touristy marine parks just can't compare to seeing them here in the open ocean. They're so at home here, gliding gracefully through the water - then delighting us with acrobatic leaps and twirls! 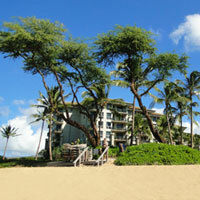 Barefoot Tours is my favourite place to book my activities. 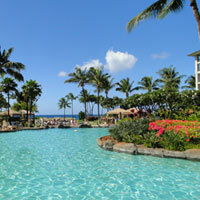 They're a reputable local Maui company who has been in business for over 40 years. Book your tour now with Barefoot Tours!